FEAST OF TABERNACLES LONDON, 2013: Plan on celebrating the Feast of Tabernacles with us in London, September 27 and 28, 2013 at the Emmanuel Centre. Speakers include Myles Munroe, Barry and Batya Segal, with special guests. For registration and more information go to: www.josephstorehouse.co.uk or call 01793-862121 in the UK. businesses and property throughout the country. Coptic priests and laymen have been killed and churches have been burned or scrawled with anti-Christian graffiti. Brotherhood supporters blame the Copts for toppling former President Morsi because Coptic Pope Tawadros II backed the military’s July 3 move to oust him. (IPT News/Arutz-7) Where is the US President, the Secretary of State, the UN and the European Union in the face of the escalating hostility shown to Christians in Egypt by the Muslim Brotherhood? Much prayer is needed for the millions-strong believing remnant across Egypt. May there be protection, courage and comfort for those who are suffering the loss of homes, businesses and loved ones at the hands of Islamists – simply because they are Christians. countries in the world to visit. 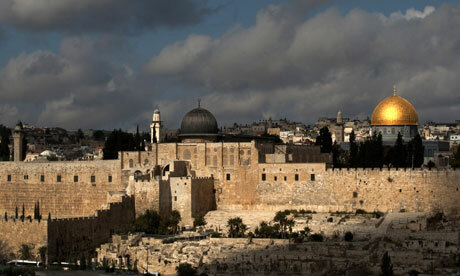 JOIN US FOR THE 2013 SUCCOT CELEBRATION IN ISRAEL: This year’s Vision for Israel Succot Celebration will take place September 22-24 in downtown Jerusalem. Visit ourSuccot Celebration website at which you can reserve your spot now, obtain helpful information and view glimpses of past festivities. If you would like to register for the 2013 Succot Celebration in Israel, or obtain further details, go to www.succotcelebration.com . Dynamic speakers and Spirit-filled worship leaders for this year’s prophetic and joyful celebration include: Lance Lambert, Israel Pochtar, Albert Veksler, Barry and Batya Segal, and For His Name’s Sake praise & worship ministry – with more to come. HELP DEFEND ISRAEL OVER TWITTER AND FACEBOOK: Follow JNN updates on https://www.facebook.com/VisionForIsrael and https://twitter.com/visionforisrael and “like” and “retweet” items you feel are important to share. Also, you can share video reports on our YouTube channel http://www.youtube.com/VisionforIsrael. Don’t underestimate how much this can help.